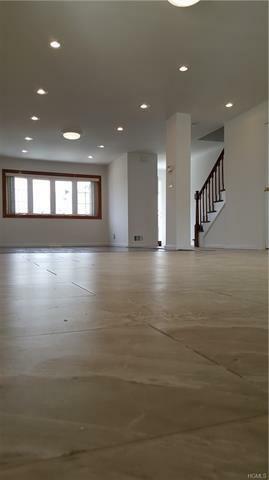 EXPERIENCE UNPARALLELED LUXURY IN A QUIET NEIGHBORHOOD IN THROGGS NECK!!! THIS SUN DRENCHED 3 BR/ 2 BTH TRIPLEX HOME HAS THE FINEST OF FINISHES. Your First Floor Offers A Masterpiece OPEN FLOOR PLAN Livingroom W HARDWD FLRS, CHEFS PROF. KITCHEN FULLY EQUIPPED W STATE OF THE ART APPLIANCES: SS Stove PIT MASTER GRILL TOP, MICROWAVE, FRENCH DOOR Refridge W ICE / WATER SERVICE, Dishwhr, & WRAP AROUND GRANITE COUNTER TOPS, OVER-SIZED DROP SINK, SS FInished Detachable Faucet w Spray/Hose is purely DECADENT. LUXURY HALF Bath on First Floor. SHOWROOM Second Floor Offers BEAUTIFUL HARDWD FLRS THRU-OUT, Chandelier, 3 Spacious BDRS ALL W CLOSETS and WATERVIEW From Master Bedroom. 5 STAR LUXURY LINE BTH COMES COMPLETE w JACUZZI BTH TUB / SHOWER, FRESHLY LINED PORCELAIN SUBWAY TILES. COOL or Heat YOUR HOME at a touch of a button w Instant Central Ventilation. FULLY FINISHED WALK IN BSMT, Complete w Washer Dryer, Extra Storage Space. 2 Car Drive, Fully FINISHED BACK YD COMPLETES THIS LUXURIOUS HOME.